In the tourist area of Benidorm, this establishment is 250 metres from the seafront promenade and Playa de Poniente beach. This modern and practical hotel enjoys magnificent views over the bay. It is well-connected to the public transport network, so you can easily get around Benidorm and the surrounding area. 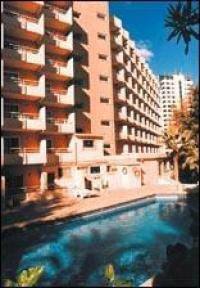 Benidorm boasts excellent shopping opportunities and a lively nightlife. It also has a pretty old town and the theme park Terra Mítica.